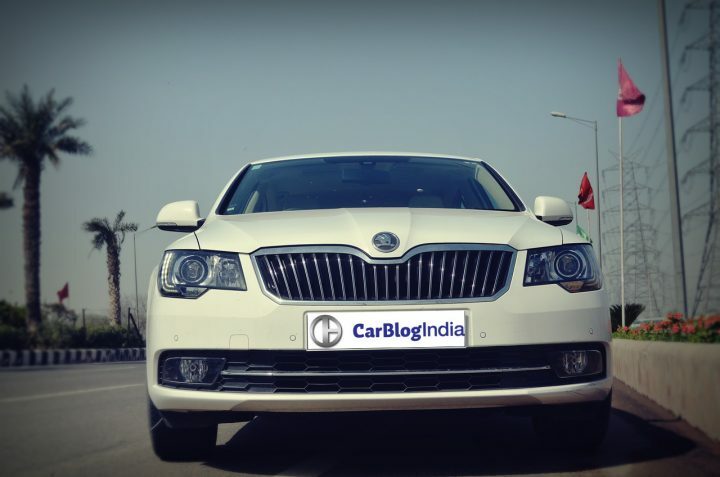 Skoda Superb Diesel Automatic Review – Simply Superb! The new-gen 2016 Skoda Superb has been recently unveiled and from the looks of it, the latest generation of the very successful Skoda flagship is raring to pen another success story for the Czech automaker. 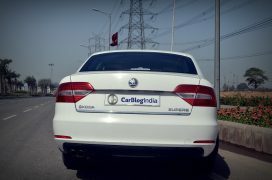 While the third generation Superb would go on sale in European markets later this year, its India launch is a tad far in the offing and won’t happen anytime before late-2016. Till then, the second generation model will soldier on and contine attracting car buyers looking for a well priced luxury sedan with oodles of space and decent performance. Check out our Skoda Superb Diesel Automatic review here for all the important details and pics of the highly successful Czech flagship. 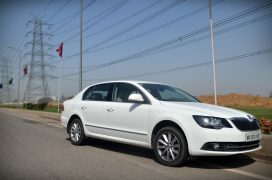 Unveiled at the 2008 Geneva Motor Show, the second generation Superb is a close relative of the Volkswagen Passat Mk6. 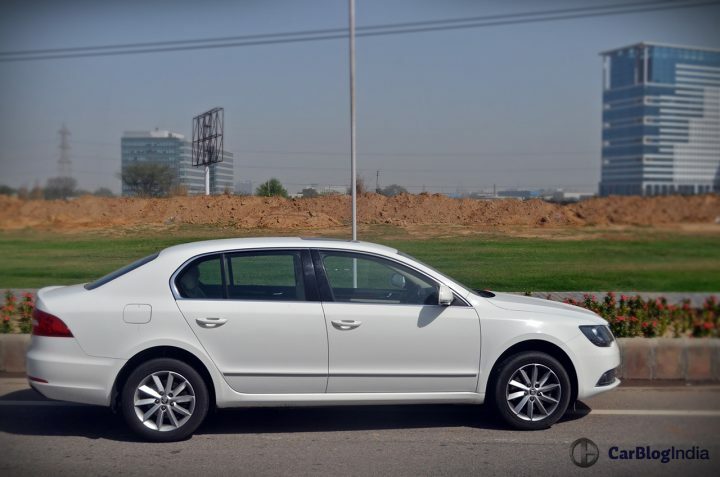 However, the two models look almost nothing like each other and while the earlier Passat shares some of its styling cues with the old Golf, the second-gen Superb looks almost nothing like any other Skoda of late 2000s. In April 2013, Skoda released the facelifted Superb in Shanghai, but the refreshed Superb Mk2 made it to our shores only in 2014. 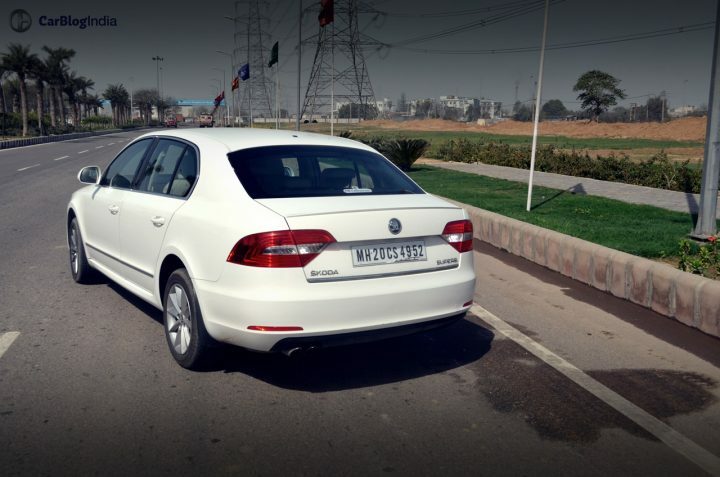 The 2014 Superb carries a new front fascia that is highly reminiscent of the Vision C concept. 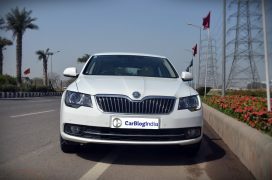 Among the most noticeable changes that the facelifted 2nd gen Superb carries is the all-new ‘butterfly’ grille that comes with the new two-tone Skoda logo. Other changes include reshaped head- and fog lamps, and a re-profiled bumper and hood. Keeping up with the contemporary practices, Skoda has introduced bi-xenon headlights with integrated LED daytime running lights on the facelifted Superb, which, on the top Elegance trim, get power washers. 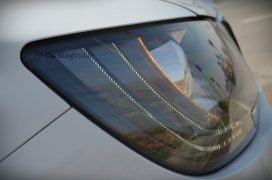 Furthermore, each headlamp gets a strip of seven LEDs for the turn indicators. In side profile, the car remains largely unchanged, with the only change being the new design for the mag wheels. It is in side-profile where the Superb’s age gets all the more appararent. At the rear-end, the car gets new taillamps, which have a rather VW-ish air about them. Also, the registration plate housing has moved away from the rear bumper and is now found on the revised bootlid. The Superb limousine continues to feature the patented ‘Twindoor’ system, which allows the hatchback to be opened in two ways. On the inside, the updated Suberb remains much like the car it has replaced. The only visible change here is the new three-spoke multi-function steering wheel, which replaces the earlier four-spoke unit. 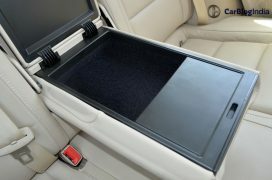 A ‘not-so-apparent’ change is courtesy of the new Bluetooth-enabled Bolero touchscreen audio system. 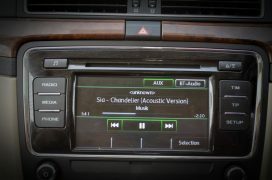 We’ve always appreciated Bolero In Car Entertainment systems for the world class aural experience they provide and the Superb’s unit continues to impress us with a rich audio output. 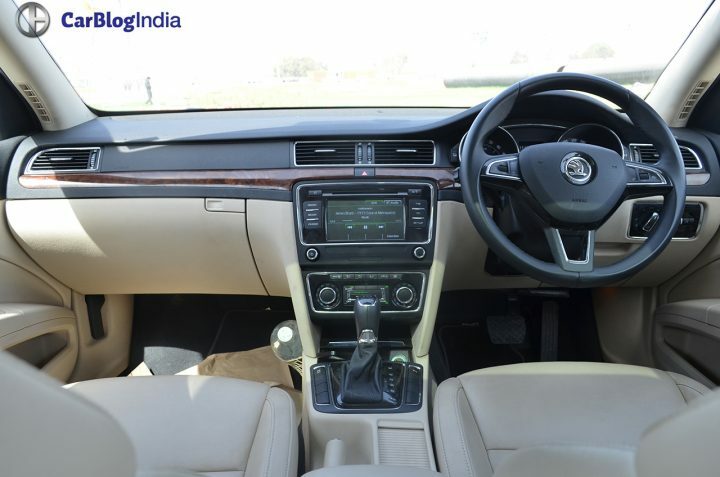 The top-of-the-line trim gets features like memory seats, Nappa leather upholstery, eight airbags, sunroof, dual-zone climate control, window blinds, optical parking system and rear AC vents on the B-pillar. Overall, the Superb, even on being more than half a decade old, manages to impress us with its rather stately design and the new bits that come with the facelift. Mechanically, there’s nothing new about the second generation Superb. 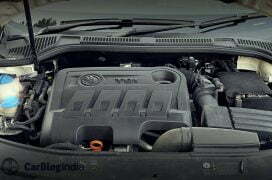 In India, the Superb is available with a 1.8-litre, 158 bhp TSI petrol engine and a 2.0-litre, 138 bhp TDI diesel engine. The 3.6-litre V6 petrol engine, which boasted of a four wheel drive system, has now been discontinued. 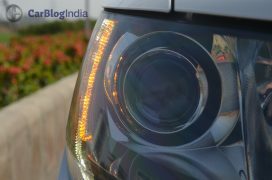 We drove the 2.0 TDI AT variant and will talk only about the diesel sipping model in this review. As we have often said, TDI+DSG has to be among the best of the marriages we’ve known of and this engine and gearbox combination goes a long way in making the Superb among the more fun-to-drive cars in its segment. True, max. power of 138 bhp doesn’t really sound like too much for a car that weighs over 1600 kgs, but we just can’t stop marveling at the way the engine and the gearbox come together to bestow the Superb with strong performance, almost throughout the rev-range. 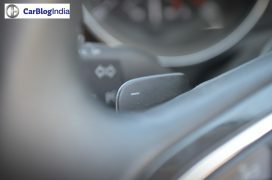 Drive the car in D-mode, and the transmission will ensure that it upshifts early enough to reduce your fuel bills. Slotting the gear-lever into S-mode lets you rev all the way to the redline and enjoy a sharper throttle response. Acceleration is brisk and 100 km/h from standstill comes in a shade under 11 seconds. This is an area where the Superb scores really very well. The Superb boasts of an almost ‘magic-carpet’ ride quality and its suspension ensures that the passengers, both at the front and the rear, remain oblivious to the gazillion undulations that dot our roads. Thanks to a fantastic ride quality, the Superb makes all the more sense for the chauffeur-driven. The Superb exhibits great high speed manners and stays planted even at very high speeds. 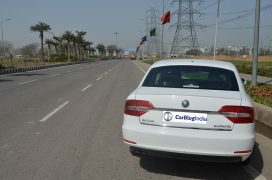 Body roll is conspicuous by its absence, and the steering offers fantastic feedback to the driver. The car’s long wheelbase does make its presence felt while playing the lane splitter, but that would be nitpicking, really. Rounding off this amazing package are the brakes, which offer fantastic bite and are sufficiently potent to haul down this car from speeds we would much rather not mention here. Like we said, the third generation Superb has just been unveiled and looks all set to be here within a year’s time. However, the DSG-equipped second generation Superb should impress those looking for a refined, spacious and a feature-laden sedan with tried and tested underpinnings. And while the Superb isn’t among the sharpest looking cars out there, the recent facelift does reasonably well at injecting some pizzazz into a highly competent upper-D segment sedan that offers stellar comfort. Stay tuned to Car Blog India for more on the Skoda Superb.